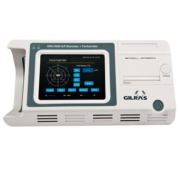 Gilras GRU-5000 A/P is a cost-effective Ultrasonic A-Scan Biometer Pachymeter which eliminates signal loss delivering amazing clear images. 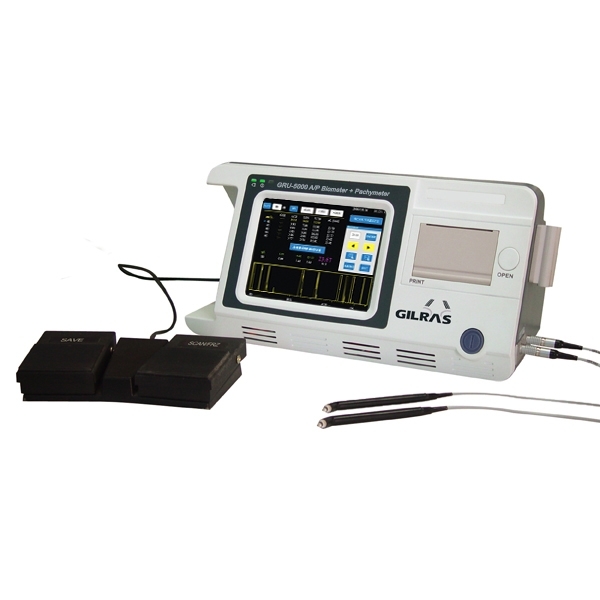 The Gilras GRU-5000 A/P offers a 10MHz A Scan Probe allows for precise and accurate axial length measurements each and every time, which the 20MHz Pachymetry probe helps practitioners determine corneal thickness. 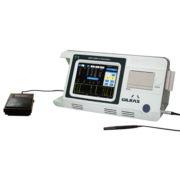 The GRU-5000 A/P automatically takes eight readings for one group. 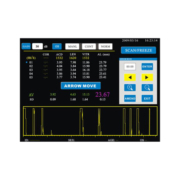 Users can manually adjust reading results at any time during the automatic measuring. 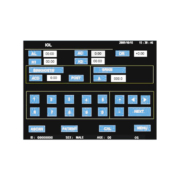 IOL calculation is simple and reliable with the GRU-5000 A/P. Select from six different formulae SRK-II, SRK-T, BINKHOST-II, HOLLADAY, HOFFER-Q, and HAIGIS. You can even compare results of different formulae. 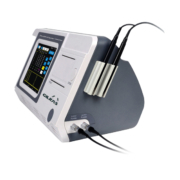 The GRU-5000 A/P takes automatic readings for corneal thickness. Select from multiple or single point readings. 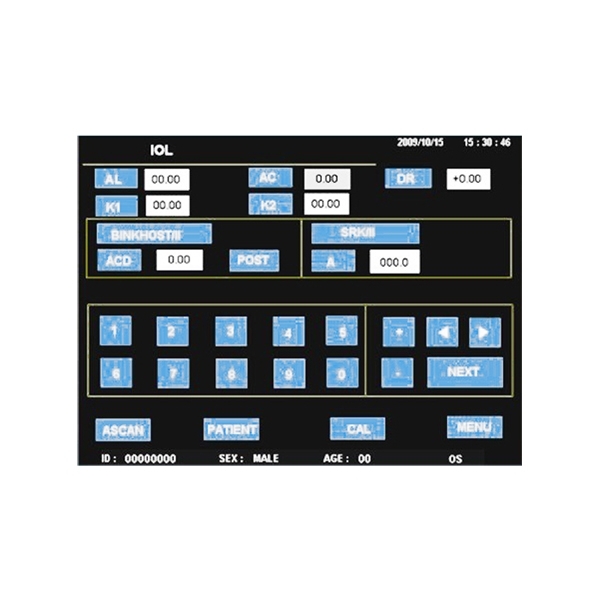 Complete control is at your fingertips with the GRU-5000 A/P. 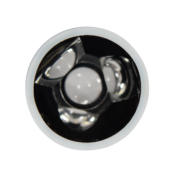 This unit allows you to define acoustic velocity, IOP parameters, printing options and so much more. 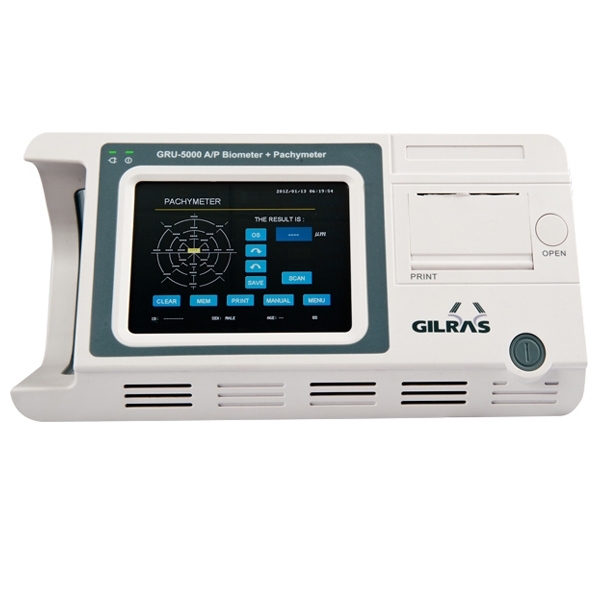 The GRU-5000 A/P provides S.D. (Standard Deviation) to assist you in evaluating reading reliability. Biometry has never been easier thanks to the smart, menu-guided color touch screen users will enjoy when selecting the GRU-5000 A/P. With the GRU-5000 A/P, you can store as many as 180 patient records for convenient archiving. Alternately, you can connect the system to a PC, automatically storing as much data as you need.